Calms and comforts dry and very dry skin. 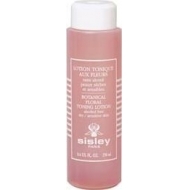 Lyslait is a Sisley cleansing oil for dry, sensitive skin. Thanks to its fluid and rich texture provides a feeling of comfort to dry sensitive skin, without feeling oily. Just after first application skin is perfectly cleansed and clear (for 98%* of women), the complexion is luminous (95%*), the skin is refreshed (95%*), supple (99%*) and soft (98%*). Dry, very dry and sensitive skins feel comfortable (96%*) and soothed (97%*). Apply with fingertips to face and neck massaging with circular motions to dissolve makeup residues. Tissue off.